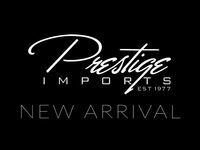 Here at Prestige Imports, we’ve always got a wide selection of used exotic vehicles from a vast array of brands. However, we do carry new vehicles for four of the hottest brands in luxury, and one of them happens to be Lamborghini. Here in North Miami Beach FL, you can always find a Lamborghini model in our showroom, whether it be an older pre-owned model or one of the newest. Whatever your needs, we’ve got you covered. From classic Diablo or Gallardo models to newer Aventador and Huracan, and of course the Lamborghini Urus Super Sport Utility Vehicle. Lamborghini, one of the most iconic Italian automotive brands across the globe, has been around since 1963. Their vehicles are known for turning heads with unique design, unmatched performance and a host of incredible technology. No matter which Lamborghini model you’re interested in, get in touch with us and we’ll see if we can get you behind the wheel of one for yourself. We don’t think it’s any secret that one of the hallmarks of a Lamborghini model is its incredible performance specs & features. From the Huracan Spyder’s V10 engine to the Aventador Coupe’s V12, every Lamborghini model packs a powerful punch. But they don't sacrifice technology to earn that impressive performance. The Huracan Spyder, for instance, comes with the Lamborghini Infotainment System II which lets you see vital vehicle, navigation and audio information on a 12.3” HD screen. Of course, every Lamborghini offers a unique but spectacularly stunning and sleek design, both inside and out. Every detail is sculpted to perfection to match the core Lamborghini DNA and to offer something truly exclusive to Lamborghini enthusiasts.